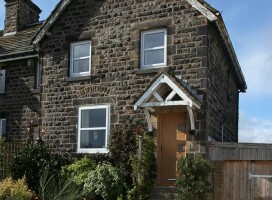 All images show composite doors manufactured and installed by Yorkshire Doors & Windows / The Lockwood Window Company. Simply click on an image to see a larger version and to scroll through the gallery. 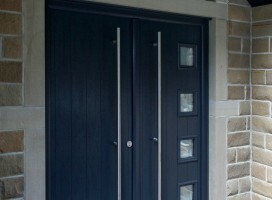 Bespoke composite door with integrated side lights in Anthracite Grey exterior installed in Holmfirth. 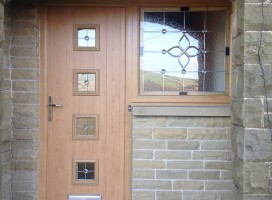 Bespoke composite door with integrated side lights in Irish Oak interior installed in Holmfirth. 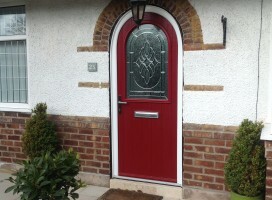 Bespoke shaped composite door in Red with Elegance glass. Bespoke composite door in Irish Oak. 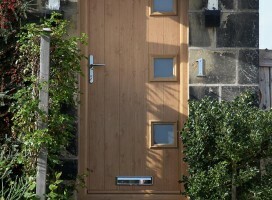 Close-up of bespoke composite door in Irish Oak. 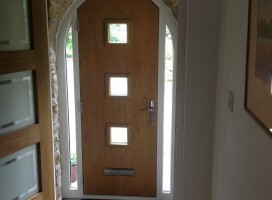 Flint composite door in Golden Oak shaped to fit aperture. 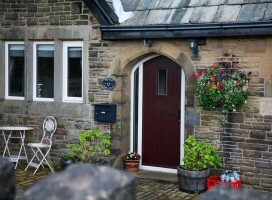 Bespoke Roma composite door from the Italia Collection in White with integrated side panels. 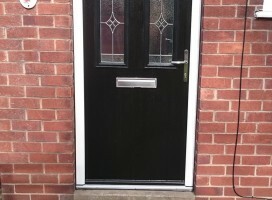 White arched Beeston composite door with integrated side lights and clear glass. 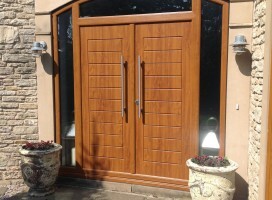 Bespoke Bologna composite door in Rosewood with integrated side panels. 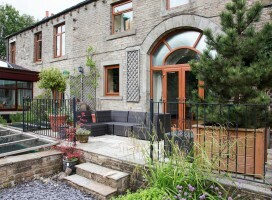 Bespoke Genoa composite door in Rosewood with integrated side panels. 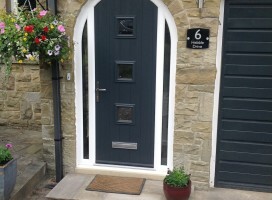 Bespoke Palma composite door in Grey with integrated side panels and top light. 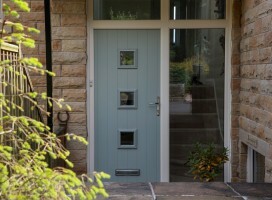 Bespoke Milano composite door in Chartwell Green with integrated side panel. Bespoke Palermo composite door in Irish Oak with integrated side panels. Bespoke Pisa composite door in Grey with integrated side panels and top light.